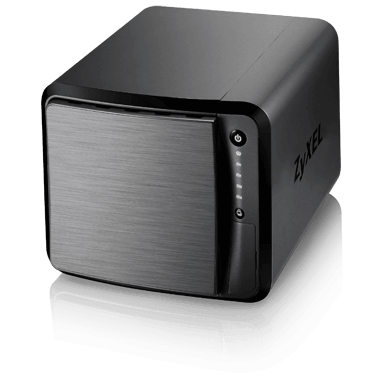 Create your own personal cloud with group sharing with Zyxel’s 4-Bay NAS540 Personal Cloud Storage. 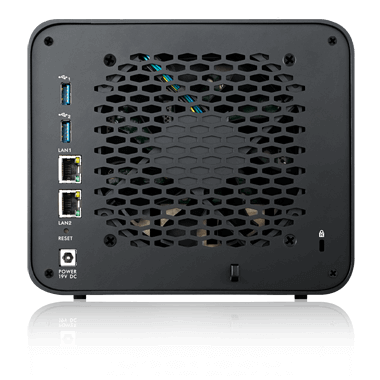 Equipped with RAID-5 configuration, hot-swappable HDD protection and dual-Gigabit Ethernet ports for link aggregation, the Zyxel NAS540 can deliver up to 130 MB/sec of reading and 77 MB/sec writing speeds based on RAID-5 configuration. Ever wanted to share drive space with a certain community in your social circle? Wouldn’t it be great if they can easily access the media you’ve shared via their own mobile devices? Now you can with Zyxel NAS540: instantly share hundreds of pictures and video clips you took for family and friends with the Zyxel Drive mobile app! The Zyxel Drive mobile app gives you the freedom to access and share files from your NAS wherever you are. Rest assured that the files are securely shared through private peer-to-peer connections with only those you’re sharing files with. Provide cloud space for your family members and/or friends when you share a folder from Zyxel NAS540 with the Zyxel Drive mobile app. Your friends and/or family members don’t need to purchase any additional NAS – just install the Zyxel Drive mobile app on their favorite mobile device! Protect your personal data with RAID 1, 5, 6, 10 or 5+ Hot Spare. 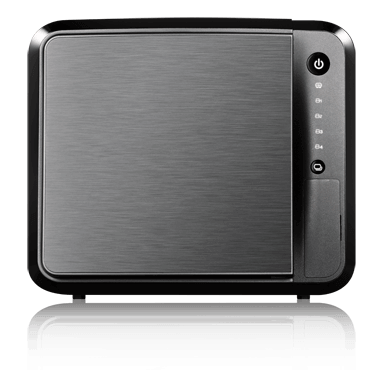 With RAID support, the Zyxel NAS540 can protect your personal data from hard disk failures. In case any one of the disks failed, you can still access your data safely and restore the normal RAID protection with the failed disk replaced. Zyxel NSM 5.1 intelligent desktop provides a rich feature set of tools with an easy-to-understand GUI design to quickly get the things done. You can multitask with multiple windows to get your applications up and running quickly. Got multiple Zyxel NAS and want to quickly check their health status? Get an instant glance of their status by visiting the myZyxelcloud Web portal even if you’re away from home, or you may also install it in a family member’s or friend’s home. With the myZyxelcloud Web portal, you get a clear dashboard to see if anything requires maintenance or service. Bring your favorite multimedia files on the Zyxel NAS540 to the big screen. With the Zyxel zCloud app, you can play your favorite videos, music or photos on the big screen with TV streaming devices such as Apple TV*, Google Chromecast**, Roku 3, Amazon Fire TV or Samsung***/LG Smart TV. To use Zyxel zCloud app that supports Instant Upload capability from your mobile phones to Zyxel NAS540, you can select multiple photo or video sources from your mobile phone, and then upload or backup those files automatically to specified destination folders on your NAS. 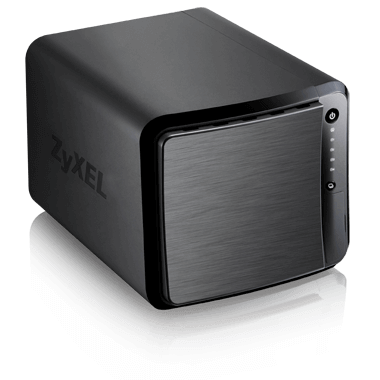 Download the Zyxel NAS540 Datasheet (PDF).